A self-inspection program, which can be applied to all GMP-regulated pharmaceutical areas (drug products, active pharmaceutical ingredients and devices), should encompass all current good pharmaceutical manufacturing practices (cGMP). It is an effective and powerful tool for ensuring compliance with relevant GMP and regulatory requirements. 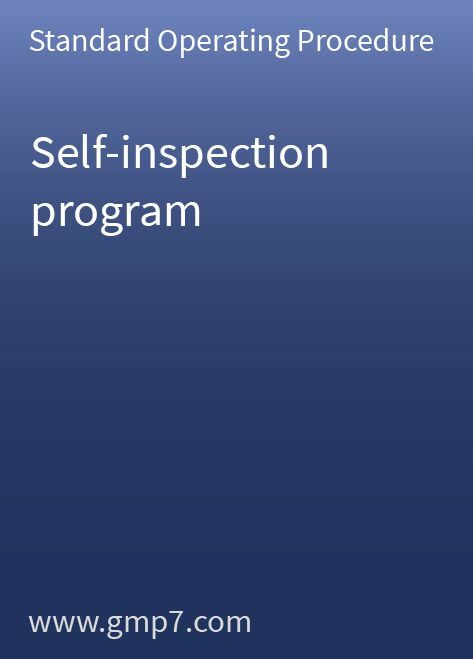 The self-inspection program should be implemented to identify non-conformance and to resolve this by defining and monitoring appropriate corrective measures. Non-conformance should be rated according to how critical it is and resolved through corrective and preventive action (CAPA) to ensure the continuous improvement of all quality-related operations and systems. This 12-page Standard Operating Procedure (SOP) also defines the procedures and responsibilities for self-inspection planning, implementation and follow-up to ensure compliance with regulatory, cGMP and internal quality procedures. Three templates are included: a self-inspection schedule for the year, a self-inspection summary report and a self-inspection issue report.